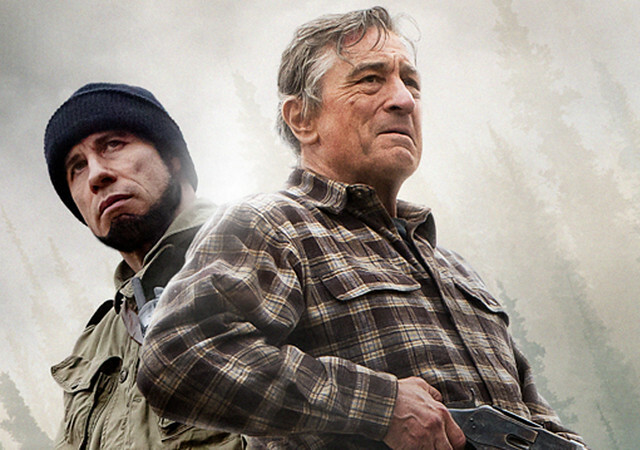 Hey, it’s Robert de Niro and John Travolta together for the first time and it’s some movie about Killing Seasons. The tagline is that the ultimate form of war is one on one. You’ll find out why. Killing Season is like Tom and Jerry in real life. Deep down inside they are really fond of each other, but just can’t express themselves very well so they end up hurting each other and going at it forever. That’s what Killing Season is all about. I went into the theater not knowing anything about the movie apart from the 2 stars being in it. Benjamin Ford (De Niro) and Emil Kovac (Travolta) are both war veterans from the Bosnian war back in the 90s. As you can tell from their names, they are not from the same country (side) during the war. Both of them did some nasty stuff during that time and after 18 years, their lives have changed. Ford is an American dad who has secluded himself from his family because he claims that war has changed him. Kovac is still an old school Serbian nationalist who is out for some payback for what happened back then. They meet again not so coincidentally and all hell breaks loose in Killing Season. I love De Niro and Travolta. They’re really good actors. De Niro plays the role of estranged dad who hates himself for doing what he did back in the war. He plays it nice. I haven’t seen a serious De Niro for quite a while now. He’s always doing goofy roles recently… or at least where I’ve seen him. Travolta I didn’t really like in this movie. He plays the role well… but… his Serbian accent is just bad and all over the place. At times it would be spot on but mid-sentence he would just lose it and say stuff with an American accent. That was painful to listen to. Apart from these two, there are no other cast members worth mentioning. There’s that guy Milo Ventimiglia from the tv show Heroes but that’s it. The movie just shows these two guys most of the time going at each other. I’m sure there’s a deeper meaning or some layered context about mutual respect, nationalism, family and being an American. There has to be I just didn’t get it. I mean, there has to be right? Because I didn’t get any of it at all apart from my Tom and Jerry comparison. 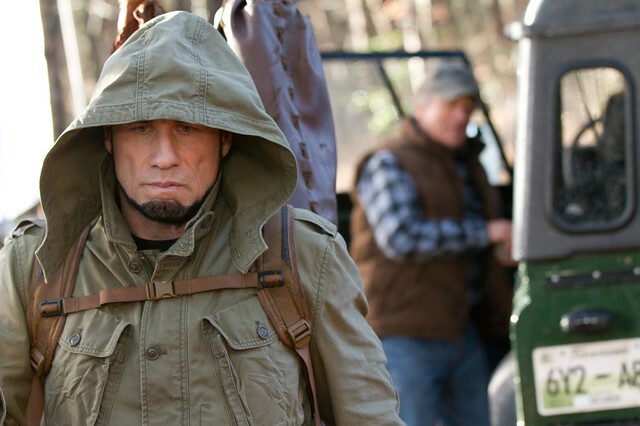 Killing Season isn’t a very good movie. It’s about two guys beating each other up silly and trying their best to top each other at being the sadist. I really didn’t like Travolta’s accent to the point that I had to go back and watch Face Off earlier today just to get that voice off my mind. If you like watching Tom and Jerry or maybe Itchy and Scratchy, then you’ll like this movie. Other than that, you’re better off watching something else. 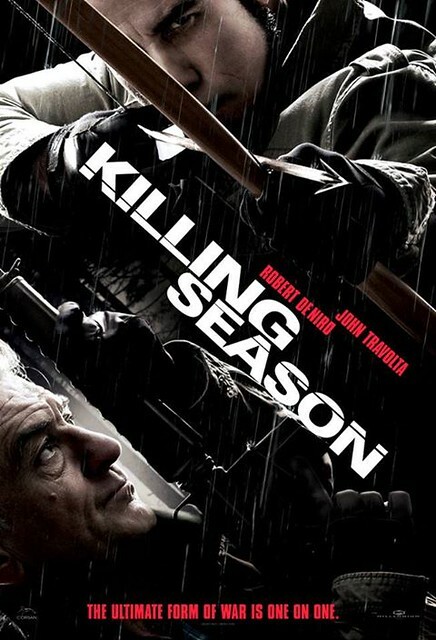 Killing Season is released and distributed by Captive Cinema Distribution, Inc. and is now showing in Philippine cinemas.